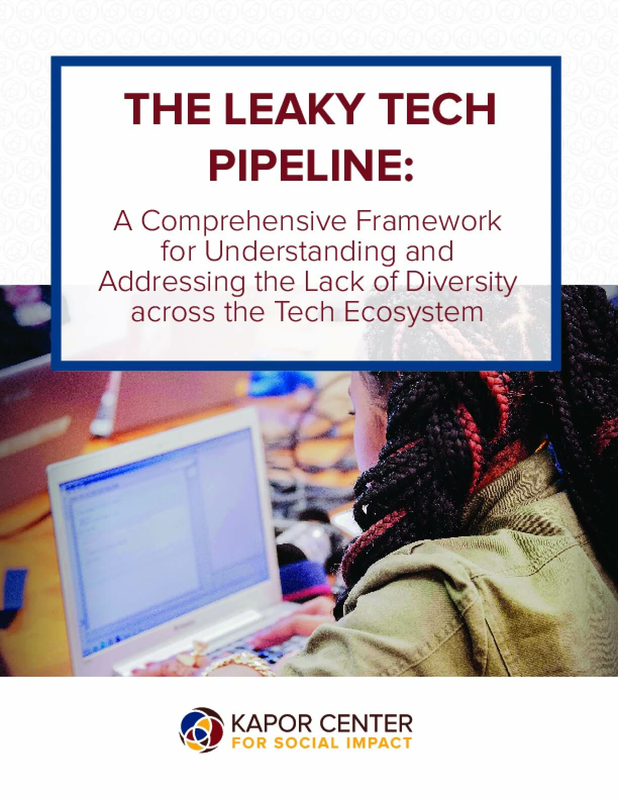 This report introduces the Leaky Tech Pipeline Framework, explores data on underrepresentation and barriers to diversity, and provides a roadmap for comprehensive interventions and solutions to increase racial and gender diversity across the tech ecosystem. Copyright 2018 by Kapor Center for Social Impact. All rights reserved.